Every summer my nephew Mateo comes out for about a month to visit my parents and the rest of the family out west. I used his arrival as an excuse to make it out to my parents place in the Kootenays for a visit. Simply put, the Kootenays are absolutely glorious in the summer. Loads of fresh fruit and vegetables from the garden, hot days and cool nights, and a big lake to jump into for a swim. I wanted to bake something fun with my nephew while I was back home. Since we had so much fresh fruit around I fell back on old habits and decided a pie would be best. 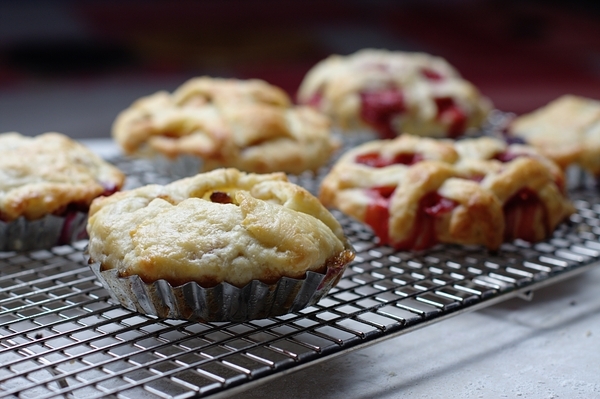 However to make things more fun, I figured we could try our luck at mini pies, or pielettes. We had fresh strawberries, huckleberries, gooseberries and a few apples. 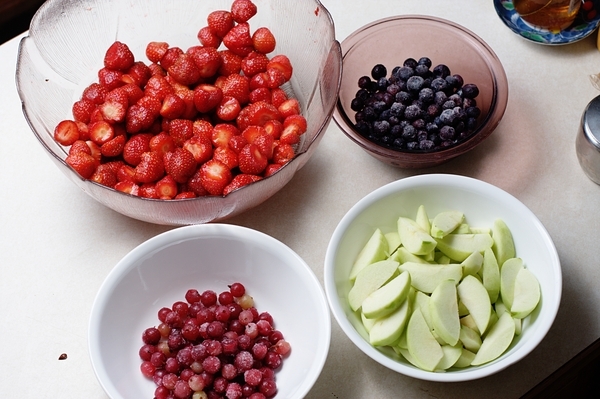 A good variety of fruits to make some fun treats. 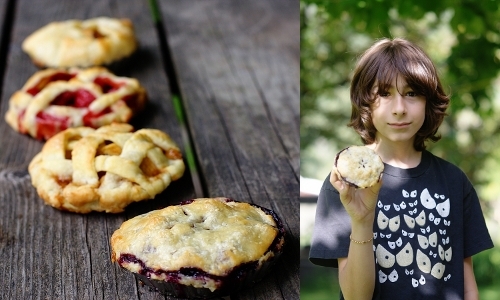 Mateo really enjoyed filling the pie crusts and making special tops for each pielette. We did a few lattice tops, a couple regular tops, and even a special top we made by making one big sheet of crust. 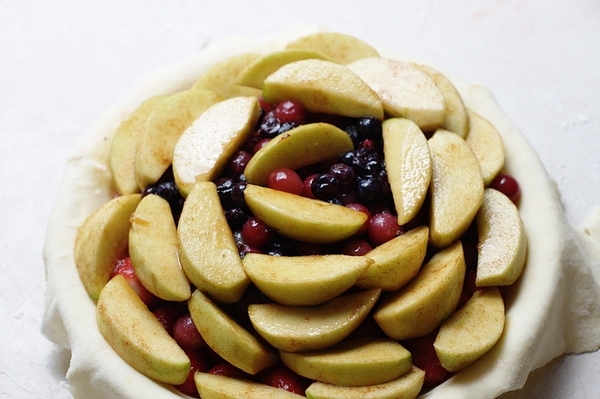 With all the remaining crust dough and fruit I put it all together into one big pie. As I was arranging the apples in the pie I realized they were starting to look like the vintage CBC logo from the 60’s. So I had fun with it. The pie itself wasn’t the best tasting I have to admit, as the gooseberries really tend to overpower all the other fruit, but it was still fun to make and try. As far as recipes go I just made a simple butter pie dough for the crust in a food processor. For the fillings I did a variety of things. Brown sugar/cinnamon/butter for the apple, white sugar for the huckleberry, ginger/honey for the gooseberries, and a simple glaze for the strawberries. Of all the pielettes I think the apple turned out best, however the strawberry was also really good. It was a really fun activity to do with Mateo, and I think he really enjoyed it. Next time I will be sure however to keep the gooseberries separate!